Professor Lance Fiondella was recently awarded the prestigious National Science Foundation’s CAREER Award for his project CAREER: Software Reliability and Security Assessment: Modeling and Algorithms. The award supports early-career faculty who have the potential to serve as academic role models in research and education and to lead advances in the mission of their department or organization. Lance received his Ph.D. in 2012 in Computer Science and Engineering under the guidance of Dr. Swapna Gokhale. 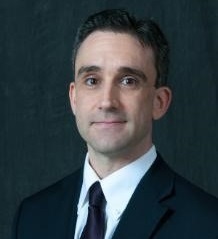 He is currently an assistant professor in the Department of Electrical and Computer Engineering at the University of Massachusetts Dartmouth. He is also a faculty fellow of the Operational Evaluation Division of the Institute for Defense Analyses, which provides rigorous technical analytical support to the Director, Operational Test and Evaluation and its mission to conduct independent assessments of the military services’ test and evaluation of new systems, including technical and firsthand analyses on system performance and reliability. He served on the Administrative Committee of the Institute of Electrical and Electronics Engineers Reliability Society from 2015-2017. Lance has published 35 peer-reviewed journal articles and 70 conference papers, eight of which have been recognized with awards. Professor Fiondella’s research has been funded by the National Science Foundation, National Aeronautics and Space Administration, Department of Homeland Security, Army Research Laboratory, and Naval Air Systems Command. Tools produced through his projects are used to assess the reliability and security of Major Defense Acquisition Programs for the Armed Services.